There are many reasons a Philadelphia dentist may suggest a patient undergo orthodontic treatment. Some need to address a bite condition, and others want to straighten the teeth in the dental arch, or are adamant about achieving a beautiful, perfect smile! Many patients have overbite, under bite, or cross bite, which are caused by a poorly aligned jaw. This causes patients to experience ineffective biting and chewing, which can cause a lot of damage to the teeth and is bad for the jaw. By realigning the teeth and correcting the bite, patients can experience less tension in their jaw and enjoy better chewing efficiency. Patients with misaligned teeth may be at a higher risk for periodontal disease. When teeth are not properly aligned, it can result in many spaces and crevices for food particles, plaque, and tartar to collect in. It is more difficult to brush and floss; and patients may develop gum disease without proper care. By straightening the dental arch, patients will improve the effectiveness of their dental care and can reduce their risk for gingivitis, gum disease, and tooth decay. 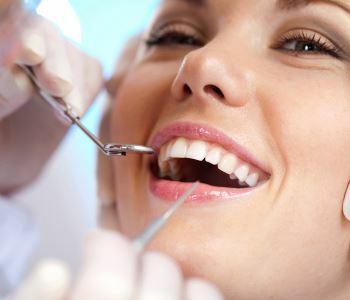 In most cases, patients want to achieve a more attractive smile. People with misaligned teeth and overcrowding often desire a perfect smile, and can use orthodontics to achieve this. Many patients improve their confidence and self-esteem with orthodontics, and can make positive changes in their personal and business lives with a beautiful, stunning smile! Dr. Spilkia of David Spilkia Family and Cosmetic Dentistry is happy to offer these benefits for patients with clear braces such as Invisalign. This system uses clear aligner trays to readjust the teeth into a better position gently and comfortably for both aesthetics and function. Many patients choose Invisalign over traditional orthodontics due to their ability to improve the smile in a discreet and comfortable manner. If you live in the Philadelphia area and are considering the benefits of clear braces such as Invisalign, now is the time to consult Dr. Spilkia and his team to find out if you are an appropriate candidate for this revolutionary orthodontic solution.